Photo credit: Studio 7042, Pexel. When it comes to understanding the normal development of independent sleep, knowing the facts can make a profound difference in our perspective on the “problem”. Understanding normal sleep patterns in childhood can be incredibly reassuring. And, frequently, this involves realizing there is no problem at all! Knowing what is typical can help us figure out if the expectations we have (or our family has, or strangers have!) match with what is developmentally reasonable. To know that frequent night waking doesn’t indicate that we have “done something wrong” to cause our babies to have frequent night waking, but rather that it is biologically normal, can take away a lot of pressure! Putting energy into coping with the phase rather than fighting our child’s nature can be a refreshing shift from trying to fit our babies into the expectations,. This way we can model our expectations on our babies’ abilities. In my September 12, 2018 facebook interview with Built to Birth’s Melanie Farrell, we spent an hour online chatting about what is normal, how to shift perspectives on the problem, and how to manage the challenges that come with supporting infants and young children to gradually develop the holy grail of parenting: independent sleep. One of the papers I mentioned was Sadler’s 1994 paper called (most encouragingly!) Sleep: what is normal at six months? Here is a bit more of the detail of that paper, and why it is relevant to parents of young babies. Of 640 parents who completed a survey about the sleep of their infant, only 16% reported that their 6 month old “slept through the night”. 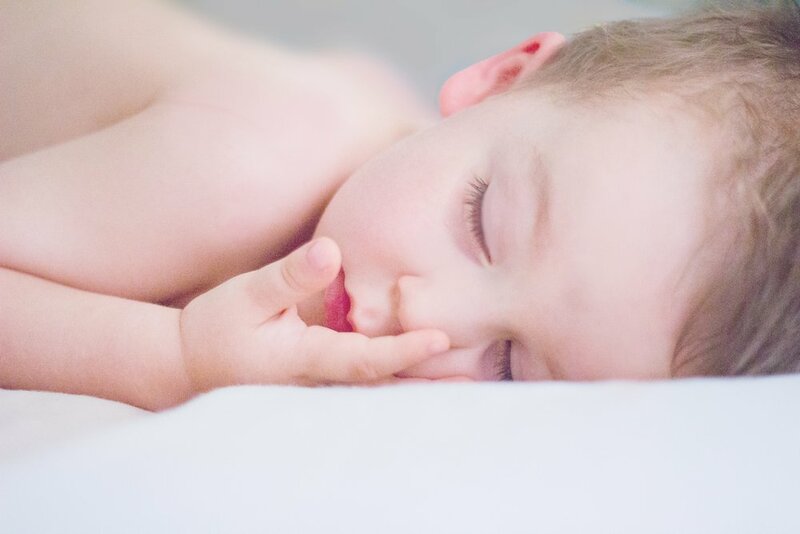 16% of the infants were reported to not have a regular sleeping pattern at 6 months of age (meaning a sleep pattern maturing from within the child, rather than a lack of ‘routine’ from the parents). This suggests that the internal regulation required for a regular sleeping pattern takes several months or more to develop. This fits with our understanding of infant development and neuro-maturation. 61% were sleeping in their own room by 6 months, but many ultimately shared a bed with the parents upon waking: a whopping 43% were always, almost always, or routinely (34%) brought into mom and dad’s room upon waking. The author suggests that knowing that these sleep patterns (frequent waking, proximity to parents during sleep) are normal can be reassuring. It is normal for babies (even at the ripe age of 6 months) to wake often and prefer proximity to mom. “Sleeping through the night” is typically defined as 5 consecutive hours, not the 8-hours-a-night we come to expect as adults. The pressure to have young babies “sleeping through the night” does not coincide with biologically normal sleep. Trusting your instincts regarding sleep problems can be helpful, especially if baby is not sleeping as well as they ought to be because of colic, reflux, food allergies, sleep apnea, or poor air quality. A return to more frequent night waking at 9 months, after a period of relatively good sleep, is normal. This tends to improve after 12 months of age. The route to independent sleep is not a linear one. Sometimes the best strategy is to anticipate the wave, hang on tight, recruit help, and ride it out. When mother nature is the one dictating the rules, changing course may be futile! Nature has a way, and we’d do well to consider that although our environment has changed a great deal, the nature of sleep has not. So, what is a parent to do if they are struggling with their young child’s sleep but think it might be developmentally normal? Get support! Support can go a long way in reassuring you, in tweaking some strategies for sleep, and in emphasizing (giving you permission!) to focus on your own self-care. Parents who have sought my help and needed, primarily, reassurance, are among the most rewarding consults I’ve done because it puts the power back in parents’ hearts that what they are doing feels right, is supported by evidence, and, in the end, works to create healthy, and even joyful, bedtimes and a happy and confident independent sleeper. It may not take much to bring this power back to parent decision-making, but it can make a world of difference to how you feel about your child’s sleep. Sadler (1994). Sleep: what is normal at six months?. Prof Care Mother Child. 4 (6): 166-7.
want to join the next on-line course on infant sleep?